Told you it would happen again and here it happens again. It’s the same old cycle with the same old thing happening over and over again with the completely same consequences over and over again and it is so pathetic that you could actually accurately predict all that if you wanted to. Such is the lunacy of this situation. In the same manner, we have yet another “publicly recognized blasphemy” and yet another insane reaction to it. This time around it’s Sam Becile’s film called “Innocence of Muslims“, which arguably falls under the propaganda category. It has sparked violent protests across the Middle East and the Indian sub continent. 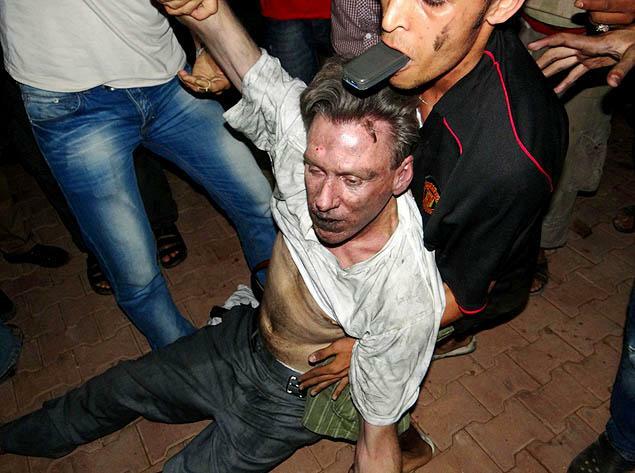 The riots sparked by it has even cost the lives of four US diplomats, including Ambassador Chris Stevens in Ben Ghazi, Libya. 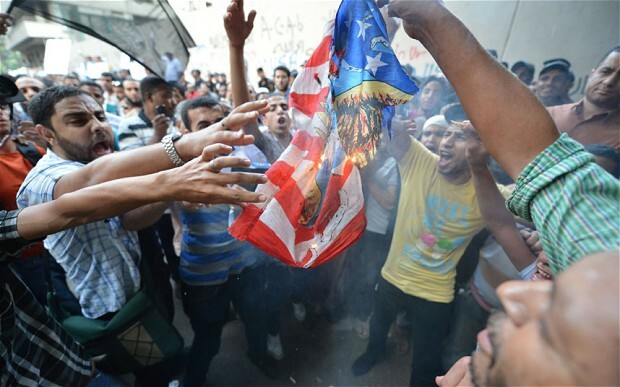 Though the attacks in Libya and Tunisia are thought to have other reasons as well such as American occupation and attacks in the Middle East, they were certainly sparked by the blasphemy craze. May I remind you that Muslim community, it is a community nevertheless made out of more than 1.5 billion people around the world, of various ethnic and linguistic backgrounds and cultures, has been hijacked by a bunch of extremist psychopaths which represent their entire image, much to the delight of those who want a conflict on both sides. Gawker recently raised this point by mocking Newsweek’s Muslim Rage cover by putting together harmless images of common people from the Muslim community around the world and also highlighting the #MuslimRage twitter trend. I found it interesting because I do believe that most of the Muslim community honestly has no representation in the mainstream media and they really are peacefully behaving folks, just like any other community. I think what we do miss in these violent protests is the fact that hardly 1% of the Islamic world’s population is actively taking part in these protests, answering the generalizations that are usually made about them. However, it can be very appropriately argued that the lack of criticism of such violence by the rest of the Muslim population makes them as much the part of the problem. That the rest of the population is either too insensitive to respond to these violent events or are simply too afraid to. 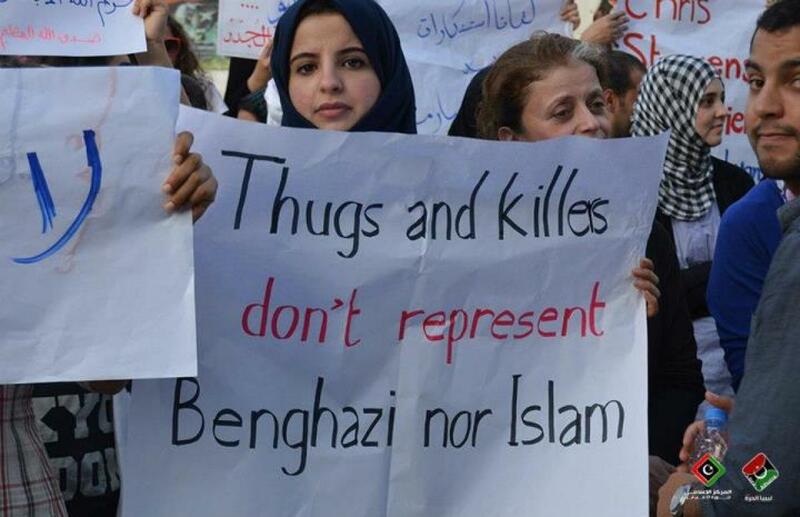 Good that a peaceful demonstration was held in Libya to apologize for Stevens’ death. In any case, the violent protesters find the most attention and it would be absolutely incorrect to say that their faith plays no part in that outcome. But by saying this, do we give the rest of the population a clean sheet in terms of tolerating violence and extremism justified by faith? It is yet another lesson and another opportunity for the Muslims to reform their religion and its practice and to react to such perceived offenses in a more reasonable manner. What they also fail to realize is how much vulnerable they make themselves appear to the West when they are outraged, violently, by even a bit of an image, word or film insulting or ridiculing the Prophet. In this way, literally a 10 year old in the West can stir violent riots all across the Middle East. How fascinating is that. There is an urgent need for reforms in this religion if it is to survive in the twenty-first century with dignity and respect and I think every member of this community should be worrying about it. Because with the presence of certain of its beliefs, it can hardly be regarded as a respectable and civilized belief system. Muslims have a lot to think about and also a lot to answer to in this regard, to themselves, if not to anyone else.